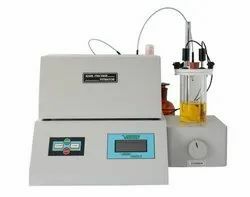 Our range of products include top load tester, edge crush tester, karl fischer titrator, vacuum leak tester with vaccum pump, digital bottle burst tester and digital tablet hardness tester. Pressure: 0 – 600 mm/Hg. We are also offering Vacuum Testing Machine. For PET industries, it is important to provide best quality bottles to the bottling plants so that the best safety of the products could be ensured with proper quality testing. Bursting is a Major problem that the PET industries face when the bottles are filled with high pressure carbonated beverages and drinks. It is the responsibility of the manufacturers of the PET bottles that they test the quality of the bottles so that they do not burst on application of small pressure on them. 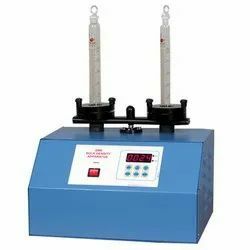 The bottles burst tester is a major testing instrument that is used in the PET industries to test the bursting strength of the bottles. 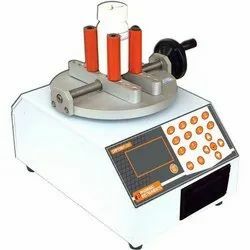 We hold immense proficiency in presenting an extensive range of Automatic Tablet Hardness Tester. 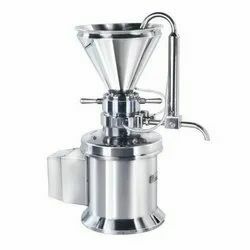 Our equipments are made using the finest quality component obtained from the leading retailers. A comprehensive test report is generated automatically as soon as the desired number of samples has been successfully tested. The cost of this product is also very economical. High resolution, LCD display panel. User friendly programming through local tactile keyboard and external PS2 (computer) keyboard. Automatic sizing (Diameter) of new batches of tablets. Statistical analysis including Mean and standard deviation. Easy calibration and validation mode for diameter and Thickness and weight. Measuring principle: Electronic Load Cell with Solid State Strain Gauges. Measuring Range: 1N- 300 N.
Measuring Accuracy: Better than 1 N.
Measuring Units: Kp, Kg, N, Lb, Sc. Max no of samples/batch: 25 tablets. Printer: 80 Column DOT Matrix Printers. Input Power: 230 V AC, 50 Hz. 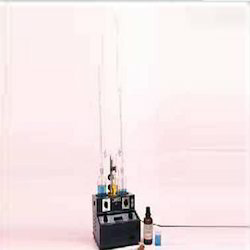 Our company is highly experienced in offering a high quality range of Karl Fischer Titrator. It is most suitable for quality control oil testing and research laboratories of pharmaceutical, chemical and electrical industries. A special moisture tight beaker assembly can be supplied on request for karl fischer titration for estimation of very low moisture contents such as in transformer oils, insulating oils etc. Our ranges of Karl Fischer Titrator are precisely designed along with engineered and sturdy in construction. Customers can avail them at reasonable prices. 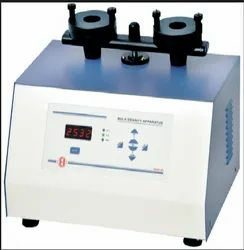 It incorporates a built-in magnetic stirrer with electronic regulator and switch. The equipment is assembled in a mild steel cabinet, which is painted with special chemical resistant epoxy paints. The instrument is designed for accurate estimation of moisture from various solid, liquid and gas samples by using kf reagent. One automatic burette 25 x 0. 1 ml, with moisture traps and reservoir 500 ml. One pair of platinum sensors and one moisture tight beaker assembly with clamps. 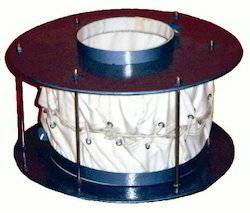 One teflon coated magnetic stirring rotor. 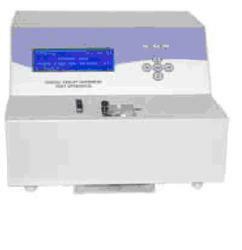 Digital Potentiometric Titration Apparatus is designed for aqueous/non-aqueous, oxidation/reduction and many other potentiometric titration. A fully solid state circuitry is incorporated, ensuring accurate reproducible results. 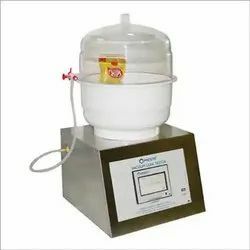 The equipment is compact having a built-in magnetic stirrer with speed control and titration stand. The standard electrode system supplied with the equipment consists of platinum, glass & calomel electrodes. It can also be used with other metal electrodes such as silver, gold, nickel, tungsten etc. The choice of electrode system depends on the nature of titration. These are suitable for transformer/insulating oil, aviation fuel and petrochemical industries etc, where very minute traces of moisture are required to be estimated. Range: 0. 000 to 9. 999 mg.
Key pad: 24 function keys allow entering sample weight and density, extraction delay, solvent blank etc, selects milligram or ppm or percentage of moisture. The indicator is a digital display with range - 900 to 900 millivolts. 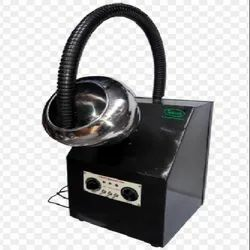 The apparatus works on 230 volts 50 Hz mains supply and is stabilized to overcome voltage fluctuations in the range 220 to 250 volts. 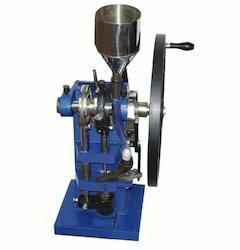 Maximum tablet diameter 1/2"Depth of fill (adjustable) 3/8"Maximum operating pressure upto 5 tonsOutput : 45 to 60 tablets per minuteMotor : 1 or 1.5 H.P. 960 R.P.M,440V 50Hz, 3 PhaseOverall Dimensions (CM) : 46Wx60Dx138HNet Weight : 160 KgsGross Weight : 280 Kgs. Detachable polishing pan for use with Tablet Coating Pan Cat.No.2247 is made of mild steel painted and provided with inner lining of superior canvas cloth, inner dia 12"x8" high with opening of 7" dia neck used for polishing tablets. The machine is worked by oil immersed gearbox with 1/4 H.P. Motor driven, or by Heavy duty DC Geared Motor.Air blower is operated independently and air is thermostatically controlled to give temperature 30Â° to 110Â°C. Switches for motor & blower are fixed on a panel with neon indicators. Also mains lead with 15 amp plug provided. Torque Tester used to determine Torque Strength to open cap of Bottles, This machine is used for Pet Bottles, Glass Bottle, containers etc. 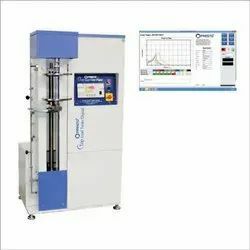 This machine having digital load indicator dipslay Torque in kg and N, The instrument is designed and manufactured in the compliance with all the international standards hence it is also compatible with all the international markets too. The instrument comes complete with a conformance certificate and user manual for easy operation. Alphanumeric display and user friendly feather touch keypad. Equipped with inbuilt validation facility. Non-volatile memory for storage of 24 test methods’ data. Informative help prompt messages displayed, to guide user while conducting test. Simultaneous action of rotating and tapping of the cylinders. Print format as per GLP requirements. Power Supply: 230 ± 10 V AC, 50/60 Hz, 2 Amps Max. 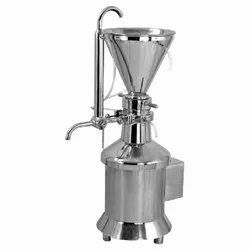 We are engaged in offering Digital Bulk Density Test Apparatus that is extensively used for measuring bulk/tapped density of powder, pellets and granules. Having provision to hold two cylinders, this instrument is ideal to be used for both USP Method I & II. 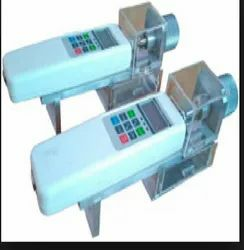 Provided with printer interface, this bulk density meter is supplied with tapping and rotating movement. For the convenience of the operations, the instrument can automatically find the percentage difference between compressibility index, house ratio, tapped volumes and tapped density. APPLICATION : To dry powder / Granules by Air Fluidization material.CAPACITY :30 / 60 / 120 / 250 / 300 / 500 Kgs.TECHNICAL SPECIFICATION :Monoblock Construction: Retarding chamber and expansion chamber are made in single piece construction to enhance cGMP and facilitate hygienic cleaning.Filters bag sealing arrangement by means of inflatable tubeInterlocking between filter bag sealing tube and blower motor, and exhaust butterfly valvePre air filtration by 20 micron filters and secondary by 5 micronFinal air filtration through HEPA (0.3 micron) filters.OPERATION :To dry powder / granules by Hot Air fluidisation method.Temperature control by PT-100 Sensor.Complete operation through control panel. FEATURES :Single piece construction- without flange joints.Complete S. S. body and all contact parts S. S. 316 only.Product container lifting by Pneumatic cylinder.Earthing device provided for safety & interlock with blower.Auto bag shaking with pneumatic cylinder cyclic timer.Auto discharge valve ON / OFF. 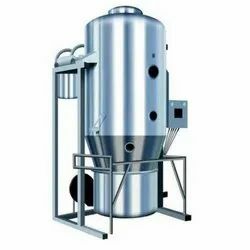 ADVANTAGES :Minimum timer require for drying the product.Uniform drying.No maintenance.Labor required only 1 person. (Electric operated) with 4 tubes. (b) -do- with 6 tubes.